Huawei Honor 6X was launched in India just a few weeks back and it seems like it’s all set to get updated to Android Nougat. Huawei has told Android Police that the smartphone will get the update next month with the EMUI 5.0 update. The company says that the new UI has been updated “based on consumer feedback.” However, it should be noted that Huawei did not give any specific date for the roll out, or confirmed if it would be a global roll out. 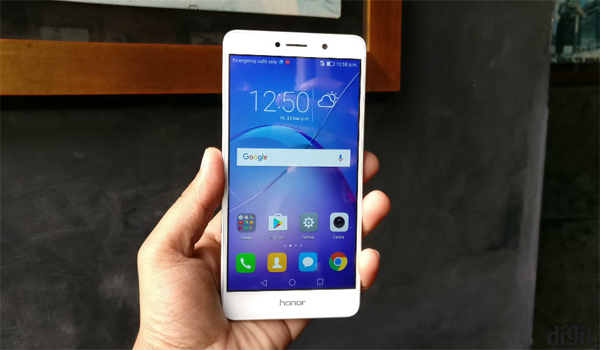 Honor 6X is the newest smartphone by the company. It was launched running EMUI 4.1, which is based on Android Marshmallow. The phone features dual-rear camera setup consisting of 12MP and 2MP cameras, while at the front is an 8MP front camera. The smartphone sports a 5.5-inch Full HD display and is powered by a HiSilicon Kirin 655 SoC. The device is available in two variants, one with 3GB RAM/32GB storage and the other with 4GB RAM and 64GB storage. The two are priced at Rs. 12,999 and Rs. 15,999 respectively.